Today we are featuring the beautiful Danburite gemstones in our jewelry care series. 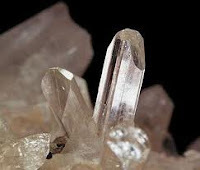 The Danburite was originally discovered and mined from Danbury, Connecticut in 1839. Over the years, additional deposits of Danburite have been found in Japan Russia, Burma, Madagascar and most of the Danburite now out in the marketplace is coming from Mexico. Danburite is a semi-hard gemstone coming in as a 7.0 to a 7.5 on the Mohs hardness scale. It is hearty enough to be used in earrings, necklaces, pendants, bracelets and rings. 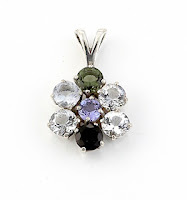 99% of the time when it is used in jewelry, it is found in the faceted form as it is easy for jewelers to work with. It is primarily found in a beautiful clear color and it could be mistaken to be a diamond due to the coloring. On some occasions it has even been found in a very pale, pink color, but the desirable color is clear. Just like all semi-precious gemstones, you want to take proper care of your Danburite jewelry by never submerging it in water (bathing, swimming, shower or cleaning) and you never want to clean your jewelry with harsh chemicals. If your Danburite jewelry needs a light cleaning, dampen a soft cotton cloth and gently rub down your jewelry piece the towel dry completely afterwards. If your pieces need a deeper cleaning, we do recommend that you take them into a professional jeweler for proper cleaning. Always store your precious pieces in a proper quality jewelry box to protect it from direct sunlight or extreme heat/cold. The cushion of the jewelry box will protect your pieces from other jewelry pieces that can scratch and mar your gorgeous gemstones. Good tips on caring Danburite jewelry. I like Danburite gemstones, they usually are colorless to very light pink in color but some deposits may produce gemstones which can be shades of yellow or brown.